Any Speeding Tickets We Should Know About? I was extremely late for a photo shoot and got clocked doing 104 on the Palisades Parkway….I never made it to that photo shoot. Ever since then, I’ve limited the excessive speed to the track. Most Memorable Track Experience: One of my first events was at NHIS in the pouring rain. I thought I was going to hate it but everything clicked for me that day and I loved it. Ian even came up to me at the end of the day to congratulate me. I’ll never forget that. 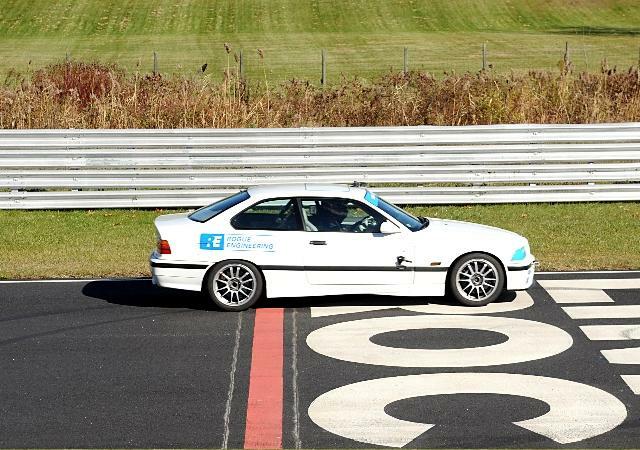 Least Memorable Track Experience: My very first time going to the track with my car on a trailer and having my Suburban’s fuel pump fail 30 miles from Lime Rock. I left the Suburban and the trailer on the side of Route 4 and drove the rest of the way on Hoosiers. Ultimate Track Goals: To continue to become as smooth and consistent as possible. Anything Else We Should Know? I had no idea that instructing would be so rewarding.